Home / Uncategorised / Juniors come and try day! Ever wanted to try AFL? 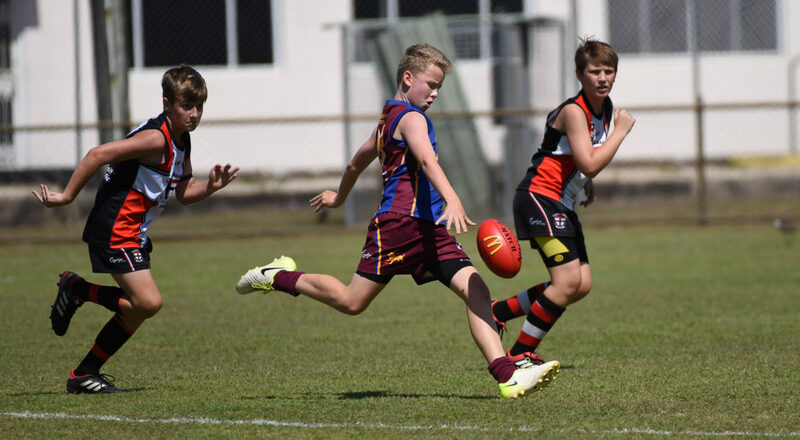 There are nine junior AFL Cairns Clubs in Far North Queensland that provides opportunities for children and their families to participate every year. 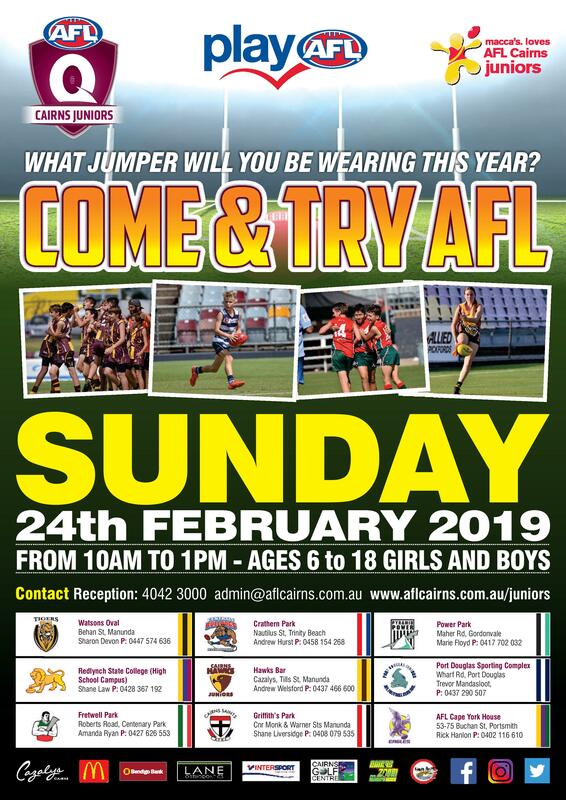 In 2019 Junior AFL Clubs spanning from Gordonvale to Port Douglas will hold a FREE Come and Try Session on Sunday 24th February 10am until 1pm. With over 1,600 boys and girls ranged between 6 and 18 years of age currently playing Australia’s National sport, this day is a great way to connect, get information and touch the football. Clubs will have plenty of activities to get involved with like footy drills, games and clinics, Coach meet and greets, player registration and BBQ’s. If you or your child are new to the game of AFL this is a way your whole family can come and try and join in the fun. If they choose to play AFL this is the perfect environment for kids to have fun learning through play, make new friends and create memories that last a lifetime. Where Can I Try AFL? You’ll be playing Australia’s National Game before you know it! lAaron Davey speaks to Melbourne Media about his day with the club.